It also comes with a long list of standard and available features that are sure to enhance and enrich your Los Angeles area commute. You’ll be able to see for yourself all that the Passport has to offer at Airport Marina Honda as soon as it arrives in February 2019. For now, learn more about the features and capabilities of this exciting new Honda SUV. The wide array of available features includes second-row sunshades, wireless phone charging, embedded Honda Satellite-Linked Navigation System, 4G LTE in-vehicle Wi-Fi, 10-speaker premium audio, HondaLink® cloud-based services, power tailgate, and a one-touch tilt/slide moonroof. 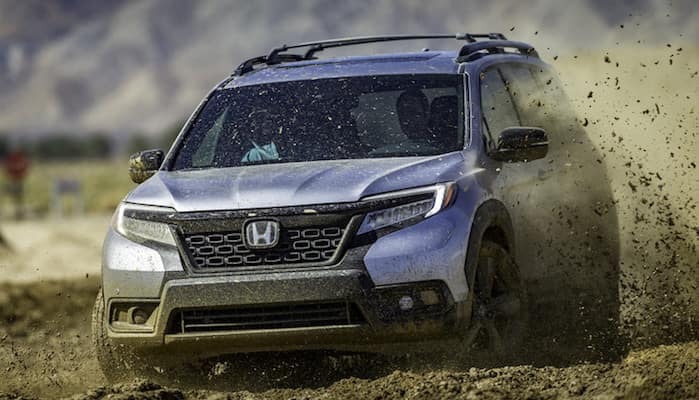 Honda Passport vs. Honda Pilot: How Do They Compare? The 2-row Passport is smaller than the 3-row Honda Pilot and offers a shorter overall length that makes it more agile and better suited for tighter parking situations around Torrance. The Passport also rides higher with 0.8 inches more of ground clearance than the Pilot, making it better suited for handling off-road excursions. Both SUVs share the same platform, the same V6 engine and 9-speed transmission, and many of the same standard comfort, convenience, tech, and safety features. Deciding which is the right choice for you will depend on your personal preferences. If you find that the Pilot is too big, and the CR-V is too small, the Passport could be the perfect fit! 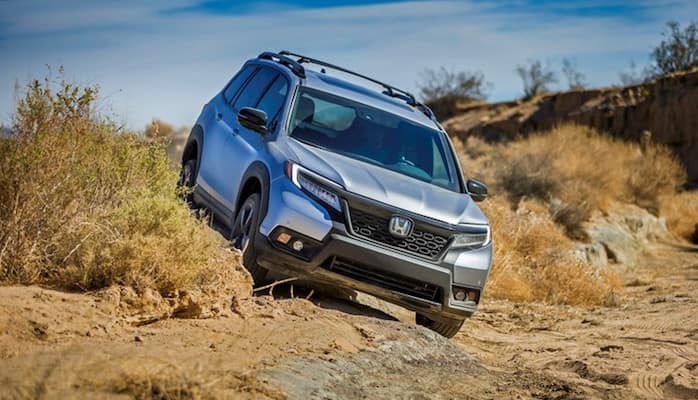 In their Honda Passport first-look review, the experts at Motor Trend have said, “With a rugged design, seating for five, and more ground clearance than the Pilot or CR-V, the 2019 Honda Passport brings more than a touch of adventure to the automaker’s lineup.” Like most Westchester area drivers, we’re eagerly awaiting the arrival of this all-new Honda midsize SUV. If you’d like more information about the Passport, and how it compares to the Jeep Grand Cherokee or any of the other vehicles in our new Honda inventory, contact us today!